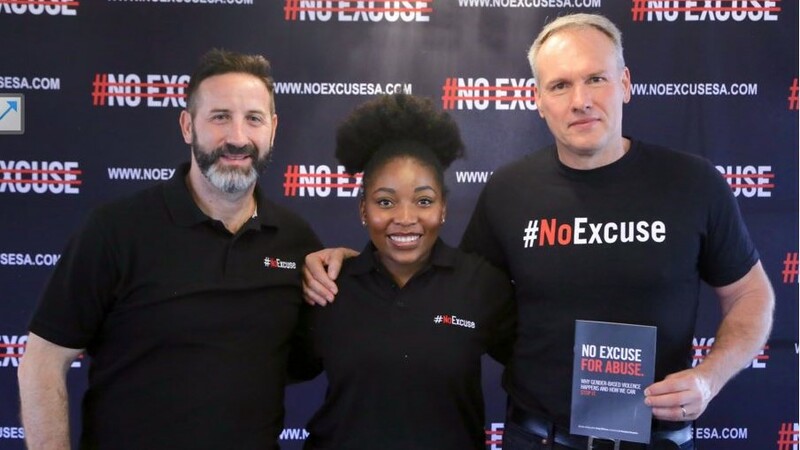 Carling Black Label's '#NoExcuse' campaign has issued a 16 Seconds of Silence challenge to men over the course of 16 Days of Activism for No Violence Against Women and Children, which takes place from Sunday, 25 November to Monday, 10 December. Gender-based violence is a problem caused by men, and it is up to men to take action and put an end to these atrocities in our society. As a leading beer brand amongst South Africans, and a brand that seeks to rally a new order of champions, we want to challenge the men of our nation to take a symbolic stand," says Grant Pereira, brand director: Carling Black Label. The 16 Seconds of Silence challenge being issued is for men to show their commitment to ending gender-based violence in South Africa by recording themselves in a silent 16-second video and uploading it to social media. Pereira adds, "By using the power and reach of the Carling Black Label brand, we’re taking further action by releasing five million special edition #NoExcuse cans over 16 Days of Activism to drive the message that real men take action against gender-based violence and that there is never any excuse for women abuse." 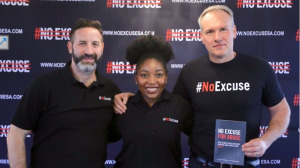 Andrea Quaye, vice president of marketing: SAB and AB InBev Africa, says, "At its core, '#NoExcuse' is a movement for change, and we are very proud to be joined by organisations dedicated to making the country a better and safer place for all." "Our decision to launch the '#NoExcuse' movement was driven by Carling Black Label’s status as a lighthouse of modern masculinity, and, as the largest beer brand in the country, we strongly believe in the responsible consumption of alcohol, and that the abuse of alcohol is no excuse for women abuse," Quaye adds. As part of the '#NoExcuse' campaign, 16 Seconds of Silence follows from the strides that have been made this year, with initiatives such as ‘Soccer Songs for Change’, an activation held at the National Soccer City Stadium in March wherein the lyrics of the soccer anthem Mas’hambe Nono was changed to deliver a plea by women against gender-based violence. The brand followed with Isizathu, which showed a woman suffering gender-based violence at the hands of her husband, and the launch of the ‘Champions for Change’ programme, where men are provided with tools and training to address gender-based violence at a grassroots level in their respective communities. The movement has reported that in-house research has begun showing some ‘green shoots’ of progress in changing attitudes and behaviour, particularly among men, towards GBV. "It is our belief, and our sincere hope, that our '#NoExcuse' campaign is supporting the eradication of gender-based violence from our society, so our sons and daughters can grow up in a better world," Quaye concludes. For more information, visit www.carlingblacklabel.co.za. You can also follow Carling Black Label on Twitter. Join the conversation by using the #NoExcuse and #16SecondsOfSilence hashtags.